2015 is a big year for legendary '90s shock rocker Marilyn Manson. 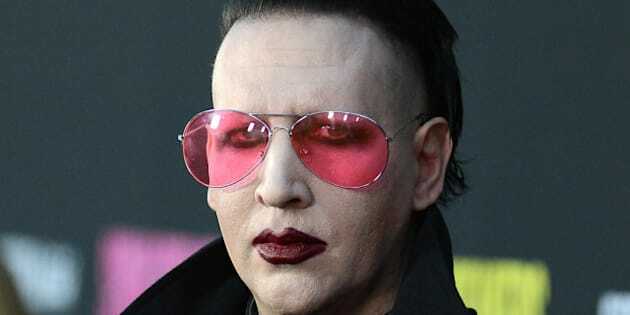 Not only did the so-called Antichrist Superstar turn 46, he also released his 9th studio album, "The Pale Emperor," and set off on his apparently family-friendly "The Hell Not Hallelujah" tour currently criss-crossing North America. With Manson, there has always been so much more to him than meets the eye. Over his two-decade career as one of the most controversial characters in pop culture, the rocker (born Brian Hugh Warner) has always tried to push the societal envelope, question authority, challenge religion and, of course, make some heavy music. But as he proved with his articulate response to criticism in the doc "Bowling For Columbine," he's a lot smarter than people have given him credit for. We got curious as to what other preconception-popping facts we could learn, so here are 25 things you (probably) didn't know about Marilyn Manson, from his music journalist past to his vintage lunchbox-collecting and watercolour-painting present. Oh, and we also recently interviewed Manson about other unexpected facts about his life, such as recently giving up absinthe ("Too much sugar in it. Unflattering to the physique"), taking up running and even making music during the daytime.